Zhengzhou Xinzheng International Airport (IATA: CGO, ICAO: ZHCC) (simplified Chinese: 郑州新郑国际机场; pinyin: Zhèngzhōu Xīnzhèng Guójì Jīchǎng) is the principal airport of Zhengzhou, Henan Province, People's Republic of China. Xinzheng airport is located 37 km southeast of Zhengzhou. It was opened in August 28, 1997, the 21st international airport in China. 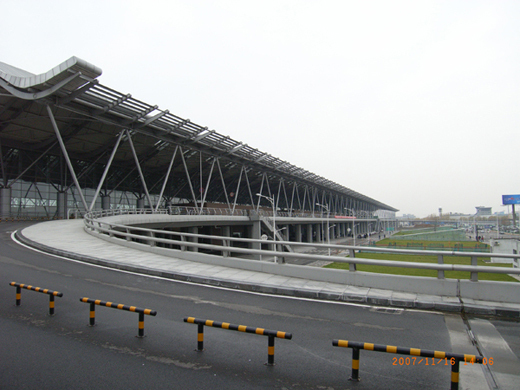 It was built to replace Dongjiao Airport, which lies in the immediate vicinity of downtown Zhengzhou. There are domestic and regional flights from the airport to most major cities in the People's Republic of China, international cargo flights to the Middle East and North Africa (including Etihad Airways and DAS Air Cargo) as well as charter flights to Thailand during the travel season. OPR HOURS Opr HS and O/R.